Telesis Integrated InLine Vision code reading technology saves the customer both time and money. 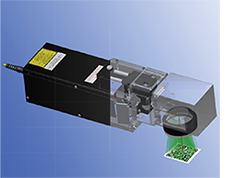 The laser marking head's internal camera saves the customer both complexity and space. Our integrated software package makes setup and use easy, and delivers immediate results. 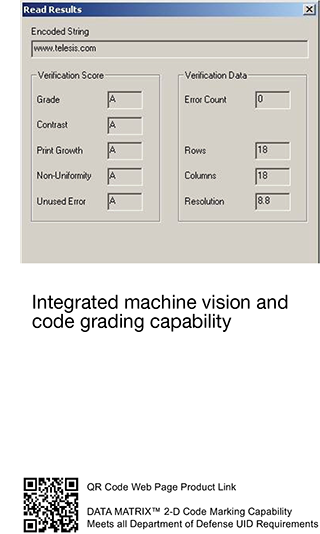 Offering 2D, QR, UID, GS1 and UDI code verification and validation, the Telesis Integrated InLine Vision option is a powerful integration tool for vision applications and factory automation.